Dr. Randall received her Bachelor of Arts degree from Austin College with a double degree in Biology & Kinesiology before earning her Doctorate of Dental Surgery at Baylor College of Dentistry. At Baylor, she earned the General Dentistry’s Outstanding Achievement Award as well as being on the Dean's list. After graduation, she practiced in Lewisville and Highland Village prior to opening her practice in Argyle in 2000. Dr. Randall is a member of the American Dental Association, Academy of General Dentistry, Texas Dental Association, Denton County Dental Society and TDA Smiles Foundation (which provides dentistry to patients in need). 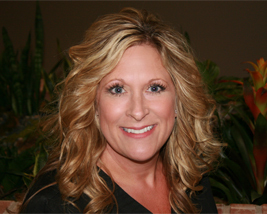 She is dedicated to learning, partaking in many continuing education courses covering a wide array of topic including Advanced Restorative Esthetics through Baylor College of Dentistry, geriatric dentistry, implant dentistry and all on four training, OSHA, infection control, HIPPA yearly training. Dr. Randall has been very involved in the local community by supporting the Chamber of Commerce, Argyle Education Foundation and many organizations at Robson Ranch, Liberty Christian School and Argyle Schools. Dr. Randall has been married to her husband, Jim, for over 20 years. They have two children a daughter Jaidyn and a son James. She and her family reside in Argyle. When away from the office, Dr. Randall enjoys being a mom to her kids, traveling, and enjoying life.